Your venue stages it's own weekly poker night. The date and time of your next event will be advertised on our website. Admin access to our website will be issued, so that players finishing positions can be entered, and a league table created and updated for your venue. Most tournaments start at 7:30pm or 8:00pm. We will provide a suggested Event Timetable, to ensure players receive a quality Tournament which should last approx 3-4 Hours. You can join at any stage of the season, but must have staged a minimum amount of games in a season for your players to qualify through to the end of season Tournament. You will need to appoint a Tournament Director to run your poker night. The League do not employ or supply Tournament Directors for your poker night. Tournament rules must be available for players to see. Click here for our suggeseted rules. Members Clubs and (Commercial Clubs with the required permit) are able to charge a participation fee to the players. The amount of this fee depends on the Club's license and is covered on the Gambling Commission's website search results for "Poker in Clubs"
It is the Licensee's responsibility to ensure the Gambling Commision's guidelines for poker in Licensed premises are adhered to. Can we stage more than 1 event per week? "Just a quick note to say a bit about the way the Nuts poker has improved our business. We started out pretty quiet on a Wednesday, but since starting poker, things have really improved. 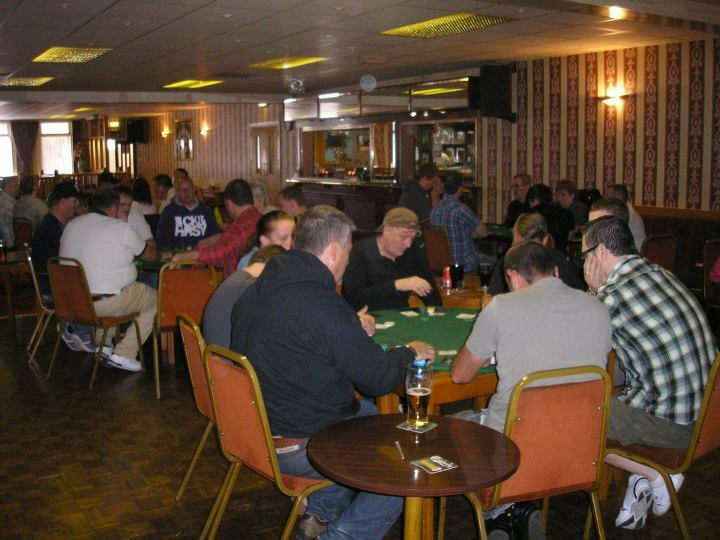 Last week we had 20 players in, plus it makes a good atmosphere which attracts other customers. The Nuts Poker league is very profesionally run and managed, it has increased turnover and is attracting the right sort of clientele. I would thoroughly recommend it to any establishment. Cost & How do I join The Nuts Poker League? For further details and prices on being a venue in the league, please complete details below, and a representative will be in contact.